If you’ve ever had a relative nag you about settling down, or a friend who is an unsubtle matchmaker, you’ll get an extra layer of cringe from Tenneesse Williams’ The Glass Menagerie. There’s a great production of the play on at The Duke of York’s Theatre in London until April 29, directed by Olivier and Tony Award-winning John Tiffany and I went to see it last week. Set in a St Louis apartment in the late 1930s, it’s a memory play with just four actors, though three carry most of the action. Tom Wingfield, who both appears in and narrates the play, is an aspiring poet who longs to escape as his wayward father did. His sister Laura is a young woman described as ‘crippled’ – though most noticeably by her shyness. Amanda, their mother, is a faded Southern belle who once had a string of ‘gentleman callers’ and picked the wrong one as a husband. Now, she’s an unwitting tyrant who nags her son about everything from his career prospects to the way he eats and can’t leave a silence alone. William’s own histrionic mother is said to be the source. When a rather more modern plan for Laura to attend business school backfires, her mother decides her only hope of her daughter not ending up a ‘little bird without a nest’ is for her to find her a husband. This also seems a way out for Tom on whose wage from his hated job in a warehouse the two women depend. A ‘gentleman caller’ is secured and far more expectation than is healthy placed on the outcome of the visit. 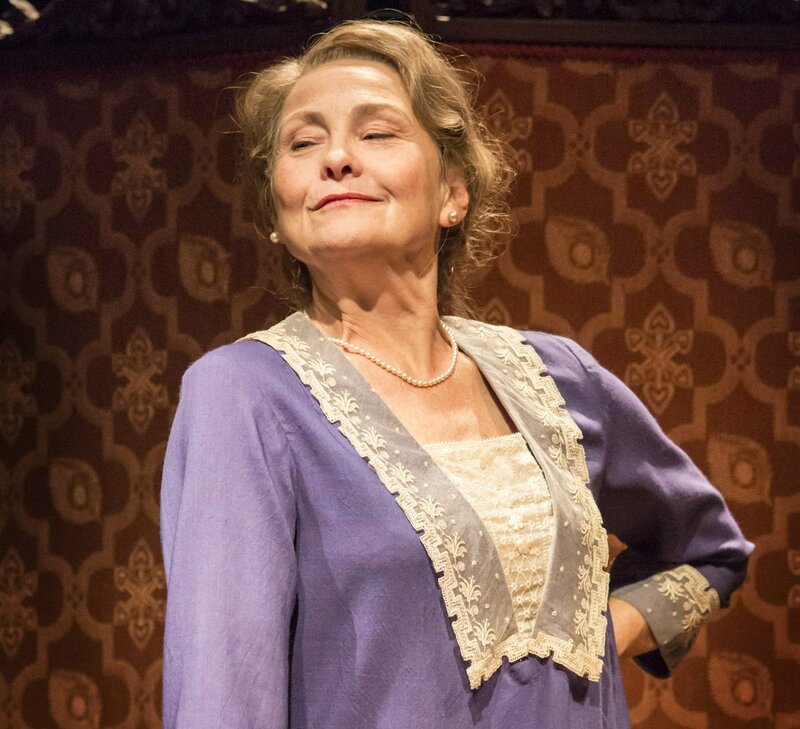 Kate O’Flynn is outstanding as fragile yet quietly charming Laura – a character said to be inspired by Tennessee Williams’s own sister. Though at times her awkwardness and accent somehow reminded me of Alyson Hannigan’s character from American Pie so I kept expecting her to say “…and another time, at band camp..”! Brian J Smith as the gentleman caller struck a bittersweet note of encouragement. My friend and I discussed afterwards how we were glad he wasn’t played as a cynical cad as he might have been. This production also draws a lot more comedy from the play than you might expect, particularly in the scenes of Tom and his mother arguing which could have been a lot darker. There is little in the way of physical action though at one point a sudden faint made my friend jump enough to slop wine over her neighbour – oops. Another surprise is the most innovative entrance of an actor I’ve ever seen as the narrator quite literally populates the set with his memories. Neither my friend or I knew the play well, though I was in the strange position of being vaguely familiar with the closing scene because I once had to devise a set for it as A Level Theatre Studies homework. The set for the Duke of York’s production (somehow they neglected to give me a call for my own sketches…) includes a stretched tower of apartment stairs and balconies which seems a metaphor for escape. Tom frequently descends the family’s own fire escape by means of a trapdoor in the stage. From some seats you’ll also see a watery reflection around the edges of the stage representing perhaps the fringes of Tom’s memory. 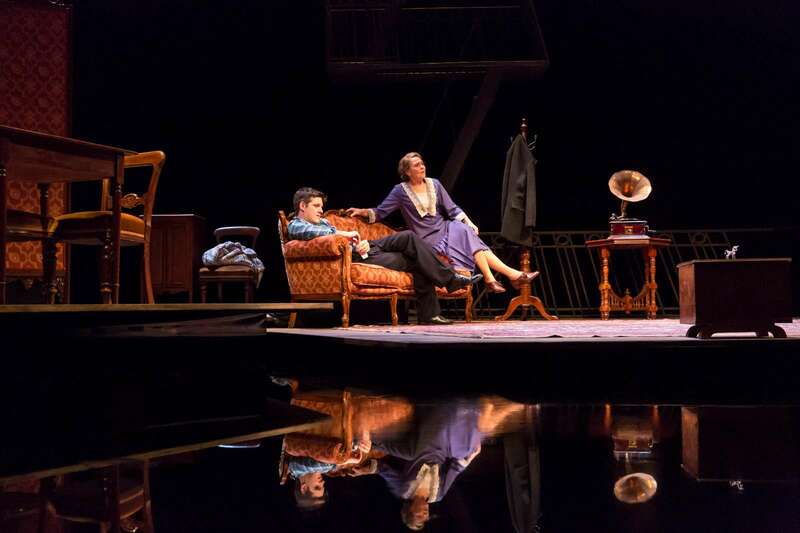 The Glass Menagerie is a reminder of a time when the modern world was developing at quite a pace, when careers in exciting new sectors may be born via night school but we were on the brink of another war. Bittersweet, like the production itself.